Our client - one of the largest international mobile phone operators - was seeking for support in understanding the prepaid segment in selected European countries (Greece, Croatia, Romania, Poland, Hungary, Czech Republic, Netherlands). The key aim of the project was to gather information about the habits and needs of prepaid users in order to draw a comprehensive picture of the prepaid segment in multi-country setting. Better understanding of prepaid users was needed to adequately address specific preferences of this target group. To support development of the questionnaire a set of focus group interviews were conducted prior to main study. The questionnaire was then translated into local languages and tested in a pilot study. In each market a representative CAPI survey was conducted on a sample of 1000 mobile prepaid users. Data from 1500 prepaid users in the Netherlands approached via CAWI questionnaire served as a benchmark, as the Netherlands are considered as a well settled mobile services market. Since no reliable data is available in secondary data sources on the share of prepaid users in population and their demographic profiles, additional representative omnibus surveys were conducted in each market to support the weighting procedures. Based on the research results PMR analysts have presented valuable insights into prepaid users’ needs, preferences and characteristics. Cross-country differences have been highlighted. Study results not only supported the intuitions and actions already undertaken by our client but also shed new light on some aspects of marketing communications and products / services development. 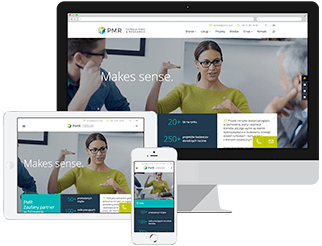 Based on PMR’s deliverables our client was able to adequately formulate marketing communication and shape services according to the specific needs of this target group.